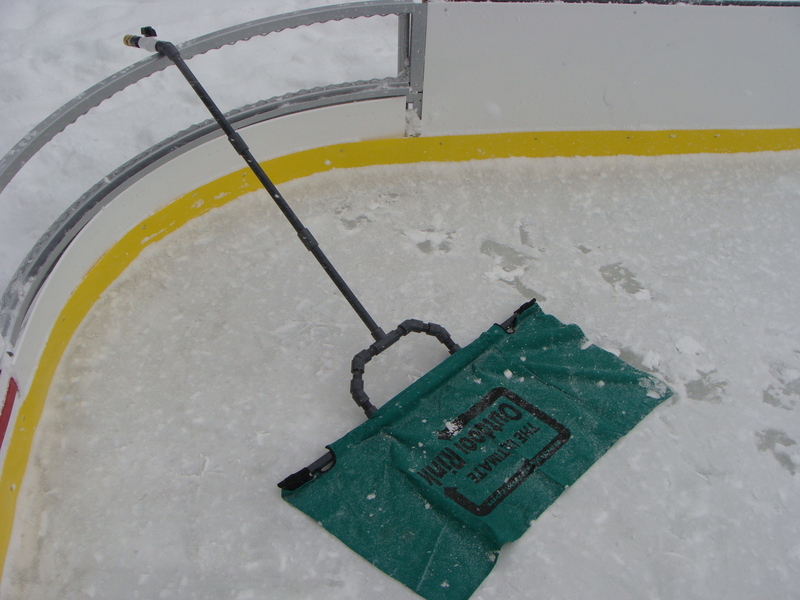 The Ultimate Rink Flooder ice resurfacing and smoothing tool is like your own mini Zamboni. Water control valve included on the handle! Our NEW towel comes with Velcro-like fastening and elastic over the end caps for easy on and off when it is time to wash. 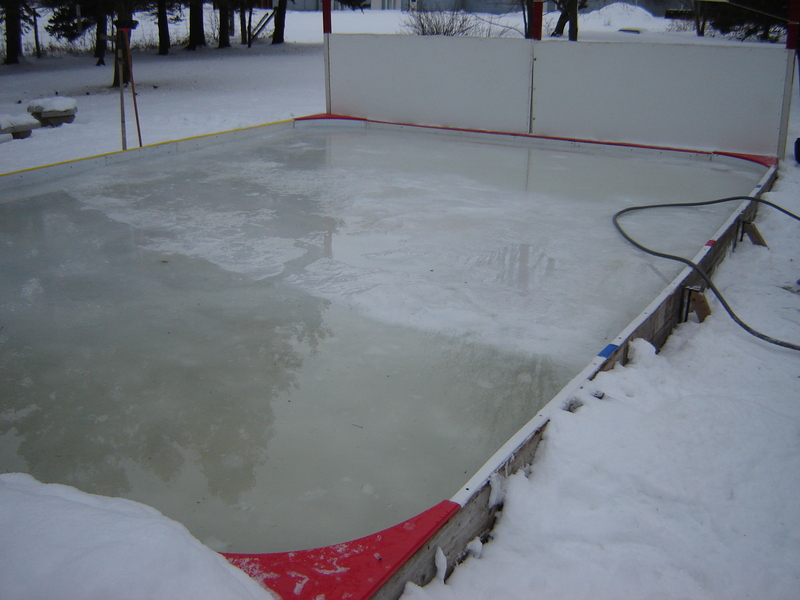 Check out our video below to see how to maintain and handle fluctuations in weather resulting in a smooth ice surface all winter long. Less work, more play! 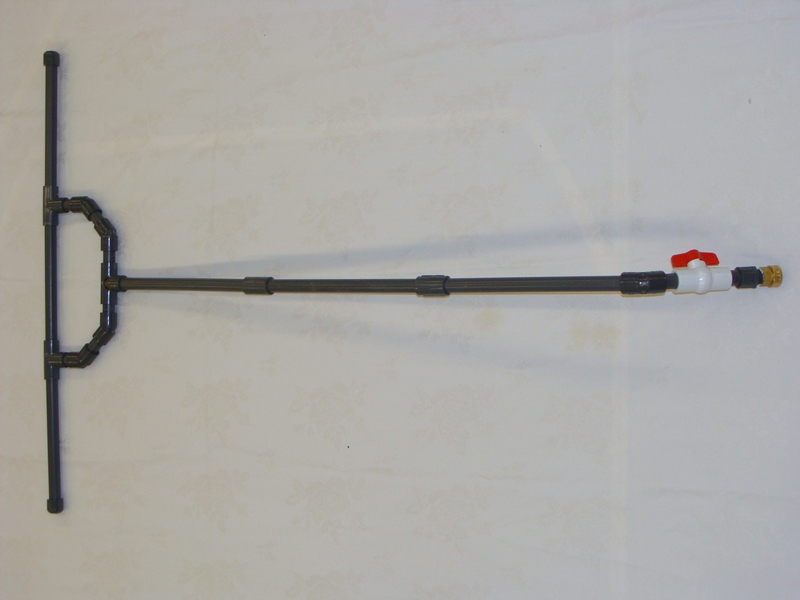 Our Ice Rink Flooder features Grey P.V.C. piping with double thick, walled piping in critical places, like the shaft, to minimize flimsy bending. The main, “T,” is also double wall thickness. 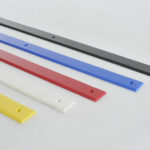 The water disbursement piping has all the holes drilled in critical areas to get into hard to reach corners minimizing your flood time and maximizing your results. 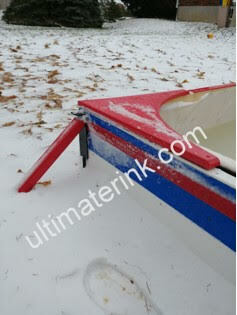 Includes water flow control on the handle for the ultimate in ice re-surfacing. Turn it off, turn it on, or turn it waaaaaayyyyy down!!! 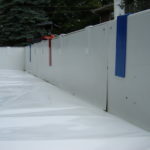 Keep your backyard ice skating rink surface as smooth as possible with our Ultimate Flooder. 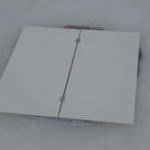 Inspired by Walter Gretzky and the Gretzky Rink Rat in 1981. 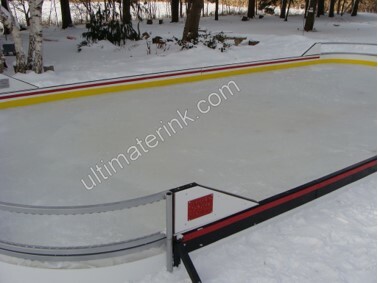 The Ultimate Outdoor Rink original design will save you time and effort by maintaining your backyard rink. It can be used with a towel for ultra smoothing. 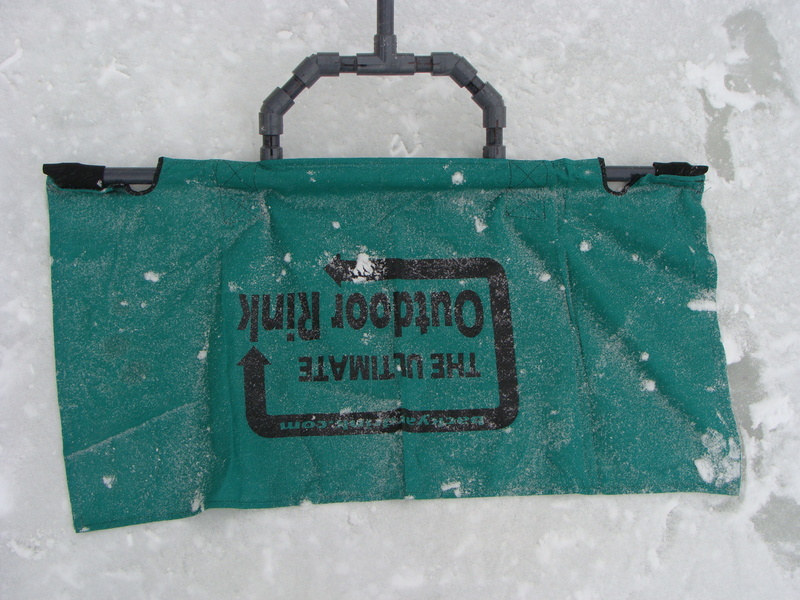 After a serious climate weather blast, just pull out your Ice Rink Flooder with towel attached over your troubled spots with warm water running through it and go slowly. The towel size adds tremendous surface for melting those high points (which, of course, run into your low areas) and shortly thereafter, the entire surface is one level. 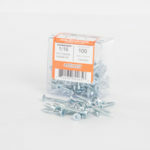 Use it with or without a towel for ice building and repair. An absolute must for the Ultimate Rink Master in you! 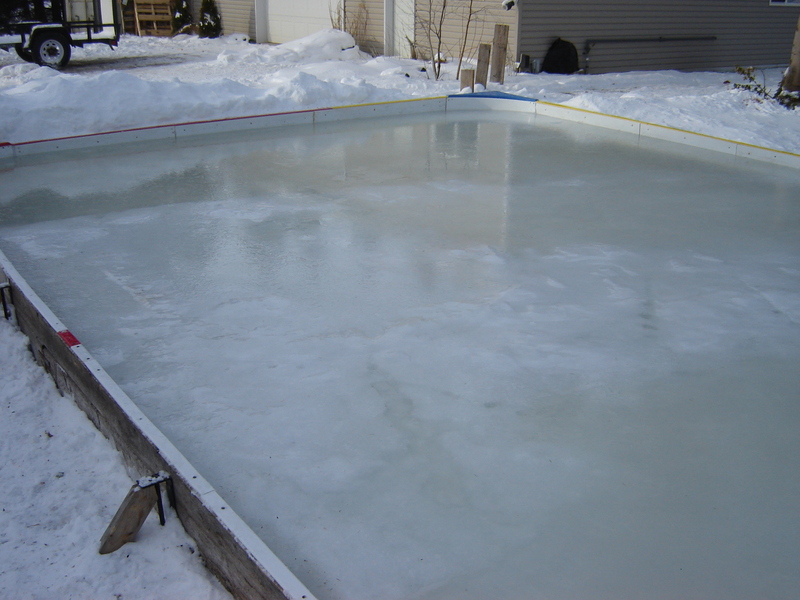 Warm water is not a prerequisite for smoothing success as tap water is already 5 – 9 degrees warmer than your ice surface. This product is almost 3 times as fast as a regular spray from the hose when using it with the towel. 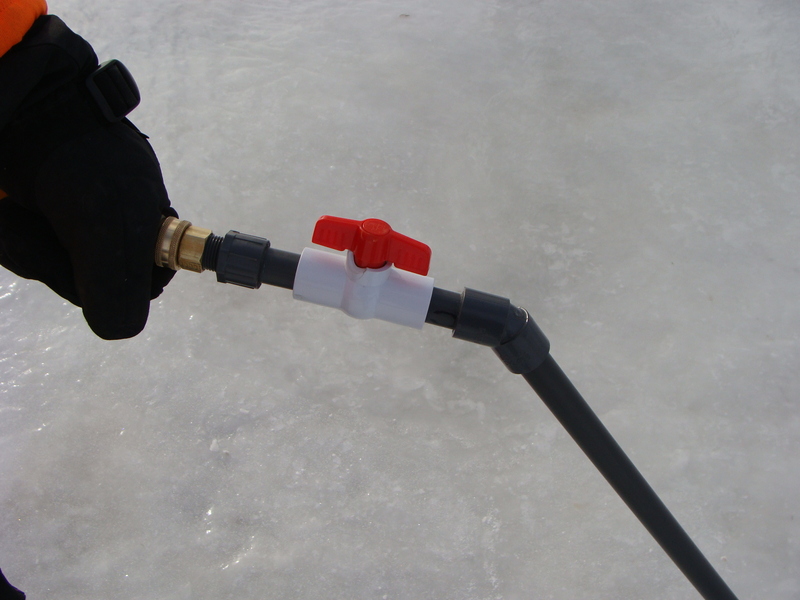 The actual time line to flood a 37′ x 57′ rink with a hose nozzle is approx. 1 hour and 10 minutes. 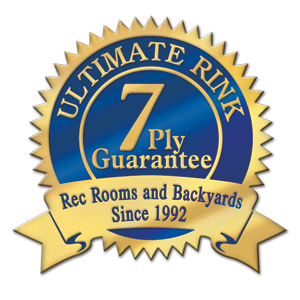 The actual time to flood a 37′ x 57′ rink with The Ultimate Flooder is 27 minutes. These times vary and may take longer depending on the water flow and how much pressure you have. Assembly required on both products and both are made of P.V.C. This video is all about prevention of a terrible surface….